Liver – This super food is rich in choline, which is essential for our metabolism, brain health and protection of cells’ DNA. Inadequate intake of choline can lead to liver and muscle damage in individuals having certain genetic profile. Red Bell Peppers – Also known as capsicum in certain counties, the red bell peppers are high in Vitamin C and low in calories. These brightly coloured vegetables have high antioxidant power and contain capsanthin which brings along anti-carcinogenic effects on our body. Eggs – Also termed as nature’s perfect food, the amino acid composition of eggs can be easily absorbed by our body for further usage. The filling nature makes the eggs a perfect breakfast option to kick-start our day. Egg yolks are rich in phytonutrients lutein, zeaxanthin and choline, which help in protecting eye health. Consuming whole eggs is also known to reduce the propensity of heart diseases. A study conducted revealed that people consuming eggs on a carb-restricted diet benefitted from higher HDL levels and improved insulin sensitivity. Broccoli – This member of the Brassica family ushers in impressive nutritional benefits without crossing over the calorie count. It contains a high amount of sulforaphane, which enhances the ability of our body in fighting cancer. Broccoli tastes exceptionally well when consumed in roasted form along with seasonings to enhance its flavour. Shrimp and Prawns – These widely popular shellfish have already found its way into the cuisines of top-chefs around the world. Other than being a rich source of high-quality protein, both prawns and shrimps are rich in copper, iodine, zinc and vitamin B. Iodine as we all know is necessary for the proper functionality of the brain and thyroid glands and is an absolute necessity for children and pregnant women both of whom suffer from iodine deficiency. Arugula (Rocket) – This leafy green having a strong peppery flavour is rich in Vitamin A, K1 and C as well as folate and several minerals such as calcium. Carotenoids found in these veggies help in preventing sun damage, improving immune function, reducing cancer risk and protecting us from free radical damage. Wild Salmon – Rich health profile, easy availability and delectable flavour have helped Salmon in becoming one of the most popular fish across the globe. It is rich in Vitamin D and provides about 1000 IU on every 100-gram consumed. Salmon is also a rich source of selenium, which consists of long-chain omega-3 fats EPA and DHA for warding off inflammation. Researchers have also found a direct relation between consumption of salmon and reduction of anxiety and ulcerative colitis. Compared to farmed salmon, the wild-caught ones are higher in nutrients and lower in toxins. Mushrooms – This edible fungus is considered to be a delicacy in various cultures across the globe. The nutrient-dense mushrooms can bring along anti-inflammatory benefits and boost up immunity. Cooking can impart a delicious taste to these mushrooms, which go well with cheese and other vegetables. Most of the keto foods mentioned above are nutritious, filling and tasty. Some, however, bring along greater nutritional benefits on a per calorie basis compared to others. 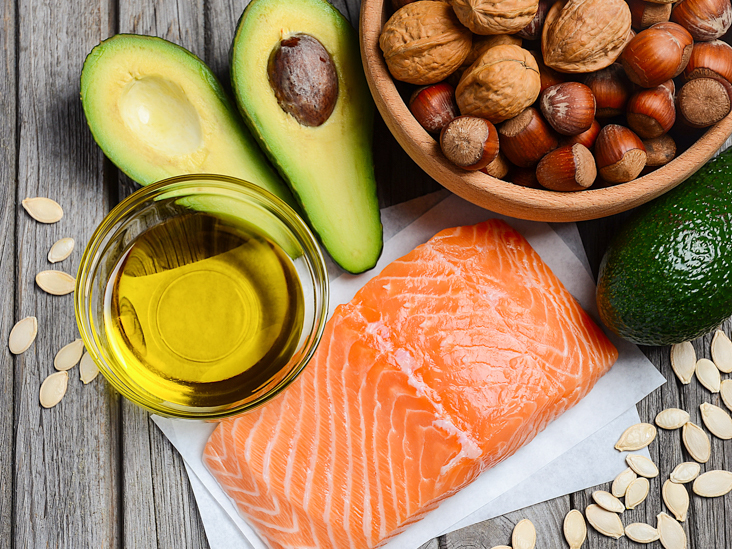 While on a keto diet, your main focus needs to be on getting as much nutrient rich food as possible into your system.